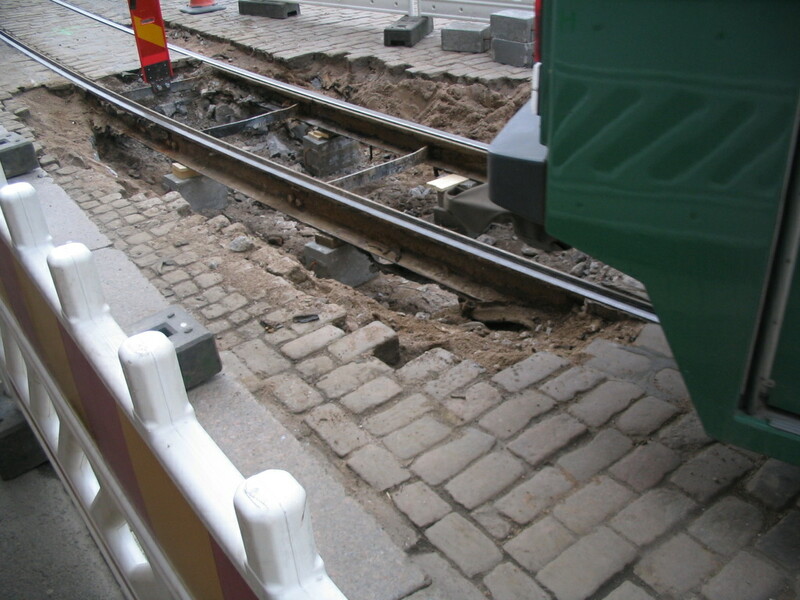 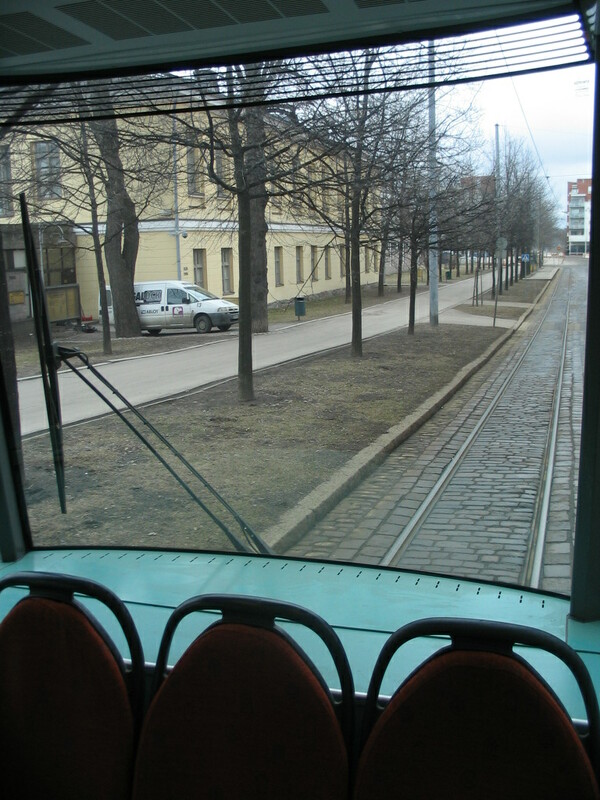 The rear view from a newer tram just after leaving Merisotilaantori. 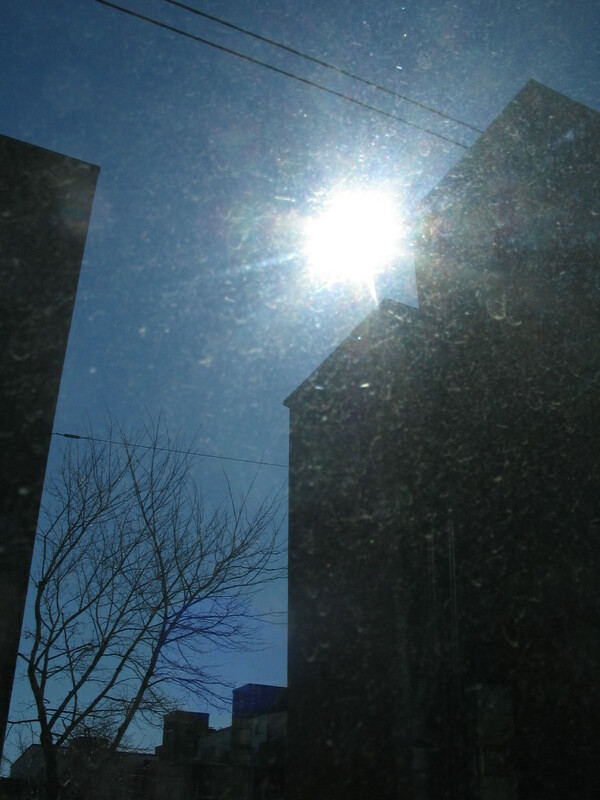 Glo-fi sun through the tram window in Merisotilaantori. 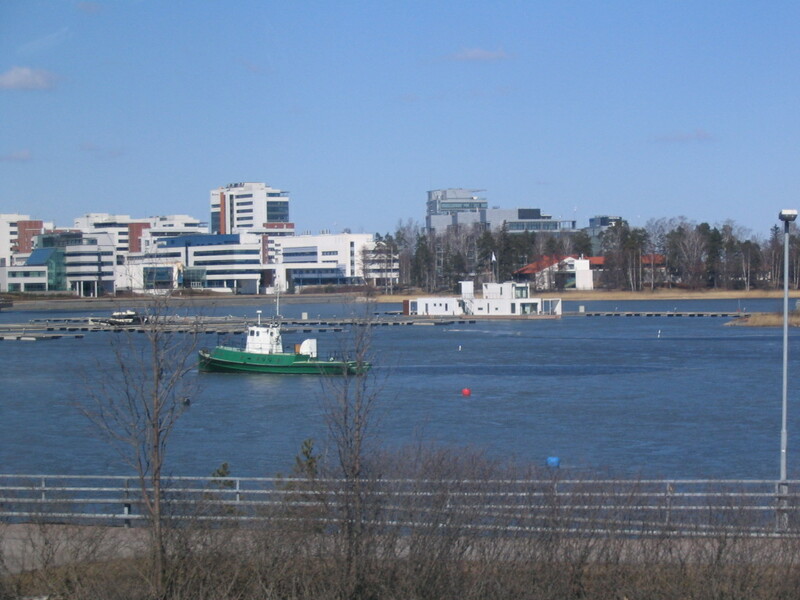 On the way to TKK, along the highway west of downtown Helsinki, is this bay (Laajalahti), and this little tugboat was always there, dwarfed by the shiny modern buildings on the Espoo shore beyond (such as the Nokia HQ). 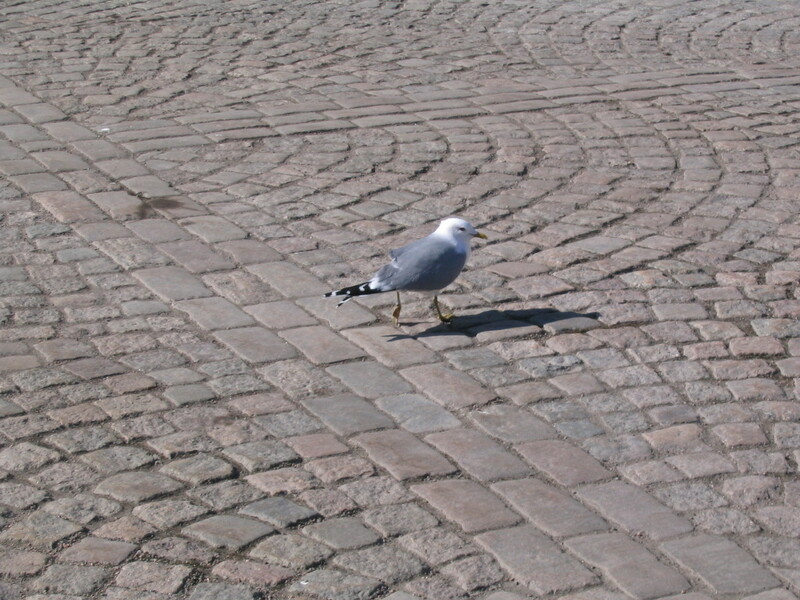 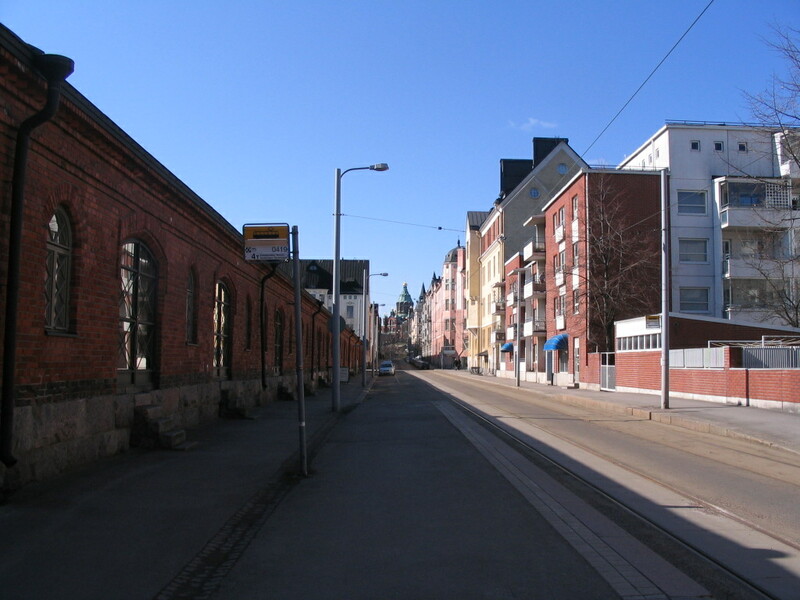 That day I got off the bus in Salmisaari/Ruoholahti (the western part of the Helsinki central peninsula) to explore it a little. 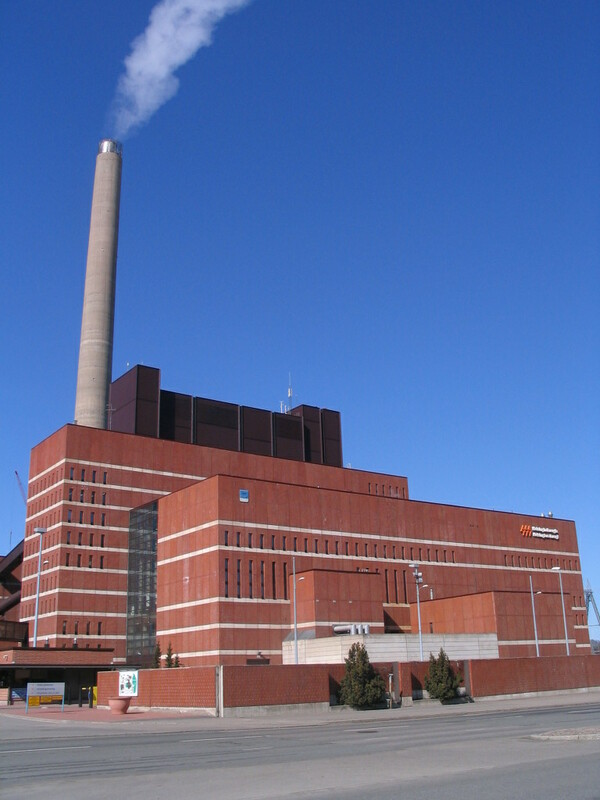 Here, the Salmisaari power station. 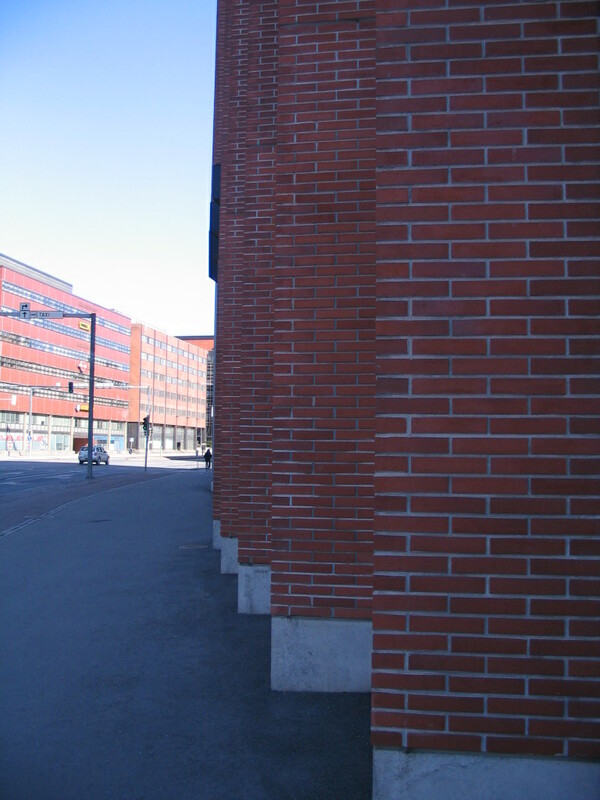 The stepped Deloitte building along Porkkalankatu. 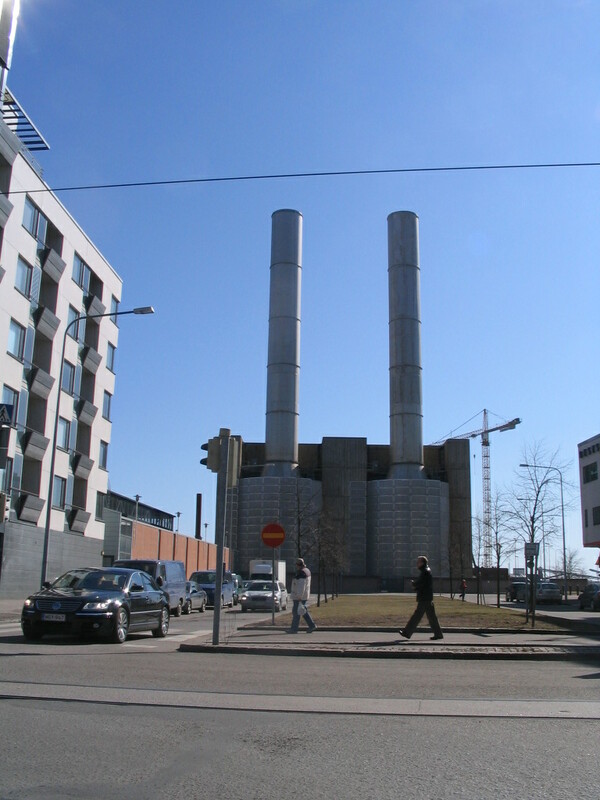 Nearby, an older power plant, seemingly; I'm curious to figure out the identity of it more precisely. 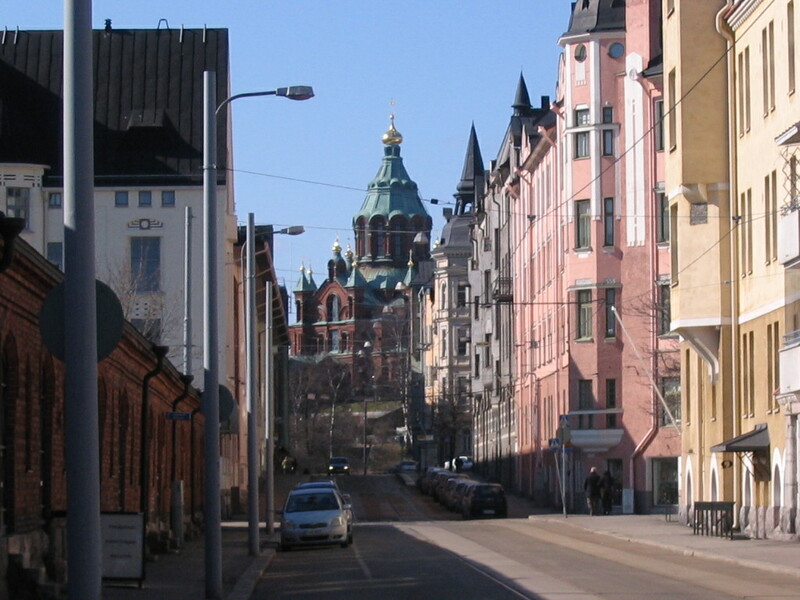 Back on Katajanokka, a long view down Kruunuvuorenkatu to Uspenski. 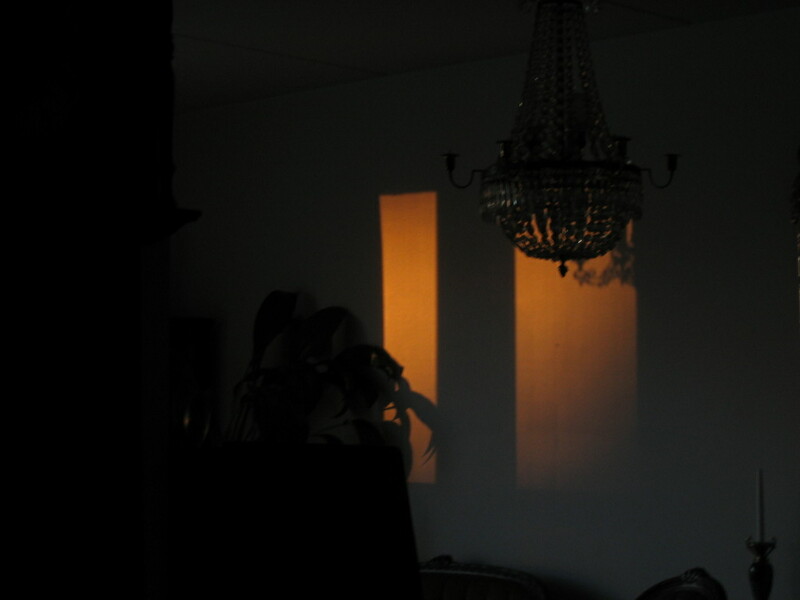 Evening sunlight reflected into the apartment from the square. 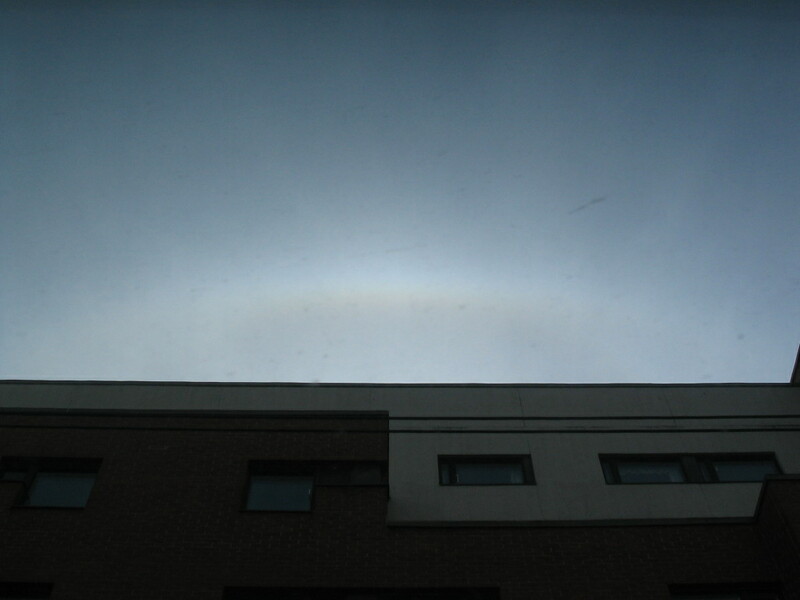 A bit of a sun halo peeks over the building. 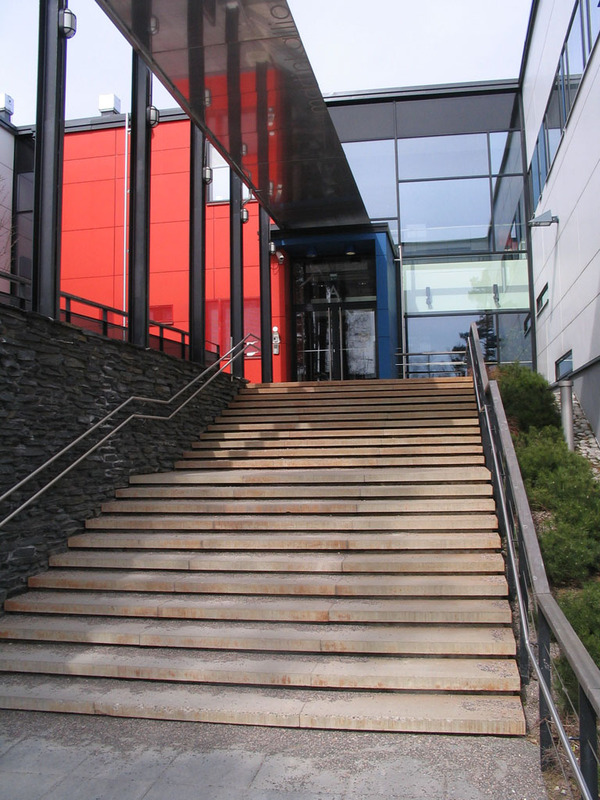 An elementary school in Martinkallio, Espoo, that was our third building systems case study. 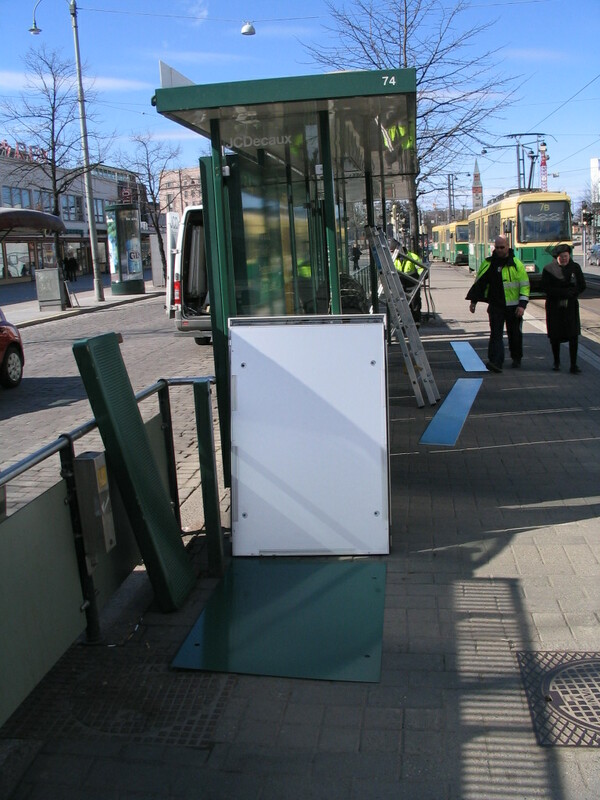 An unusual sight: the changing of the advertisements at the Lasipalatsi tram stop.